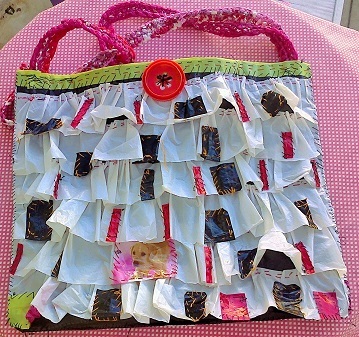 Every summer while on Paros, I try to make purses using my household trash. This is a little clutch made from a transparent detergent bottle. 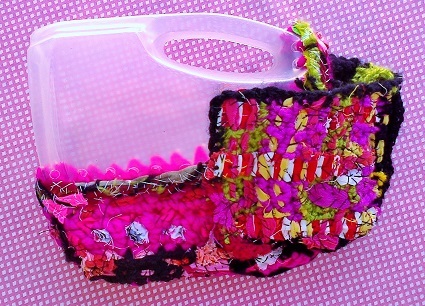 I cut the bottle open then used scrap materials to crochet the missing part. There’s a flap that opens on the front kept in place by velcro. 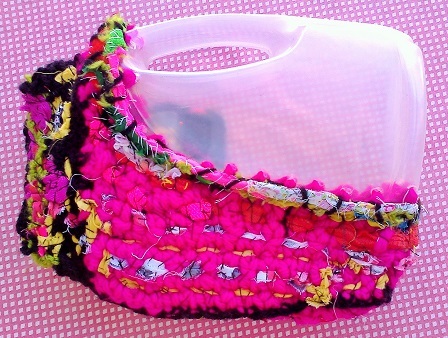 Another plastic bag purse. The base is from heavier plastic whereas the “ruffles” are from flimsier bags. 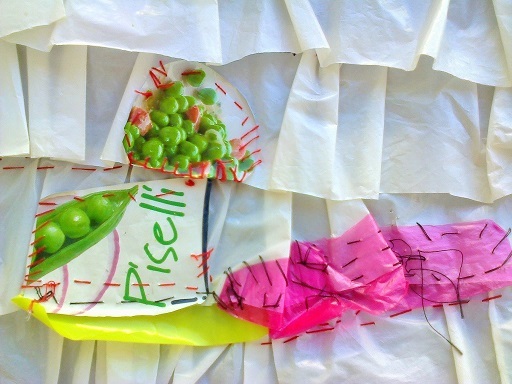 It’s named “Piselli” (peas) because of the pea picture from a frozen food bag appliqued on. On one of my walks to Krios, I found this deflated plastic football and decided to transform it into a purse. Not liking the brown, I sewed on strips of plastic from garden dirt bags. The rest was made from plastic bags. Maybe when I get back this spring, I will make some additional changes. 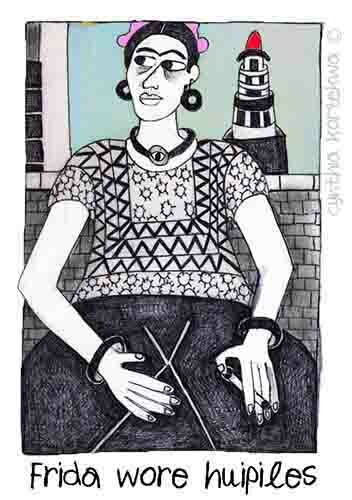 This entry was posted in Fashion, Muy Marcottage and tagged eco-fashion, Muy Marcottage, purses, recycled purses. Bookmark the permalink.